Since 1980, our team at LeViness, Tolzman & Hamilton, P.A., has been making good on its mission to provide the highest-quality legal representation to clients in Baltimore and throughout Maryland. By taking a personal, hands-on approach to working with our clients, we build strong, lasting relationships that help us effectively address our clients' goals. Whether you come to us facing a serious injury resulting from a car accident or a loved one has fallen victim to medical malpractice, we are here, ready to fight for your best interests. Our team of lawyers and professional staff understand the frustration facing the individuals and families who reach out to us. That is why we strive to alleviate the stress by providing the information our clients need to confidently address difficult decisions. Instead of throwing out ultimatums, we provide options backed by proven strategies we have utilized during negotiations and trial. 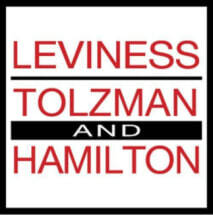 At LeViness, Tolzman & Hamilton, P.A., we have recovered more than $100 million in awards and settlements for our clients. Many of our attorneys have received awards and accolades for their work within their specific areas of practice, including being listed among the Top 100 Trial Lawyers, being recognized in Super Lawyers magazine, name a Top Lawyer in Maryland, and as a 10 Best in Client Satisfaction by the American Institute of DUI/DWI Attorneys. We are also active participants in numerous legal and professional organizations, including the National Organization of Social Security Claimants' Representatives (NOSSCR) and the National Association of Consumer Bankruptcy Attorneys (NACBA). Each member of our team is dedicated to the betterment of our local communities. We devote our time to numerous community and charitable organizations in Baltimore and across the state. To learn more about our firm, our attorneys and how we can help you and your family through your legal issues reach out and schedule a free initial consultation at our Baltimore, Columbia, Glen Burnie or Towson law offices.